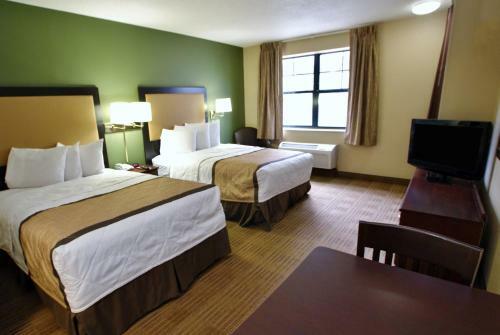 Description This Duluth, Georgia hotel has free internet access, non-smoking guest rooms and free breakfast. This hotel is also pet friendly. 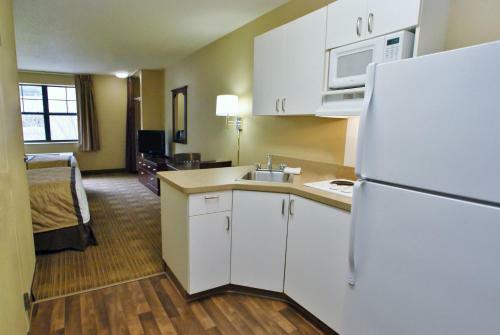 Studios with fully equipped kitchens on-site guest laundry and free Wi-Fi are some of the conveniences included at the non-smoking Extended Stay America - Atlanta - Duluth. 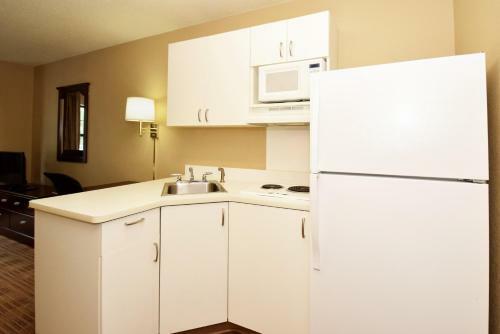 Well-stocked kitchens include dining and cooking utensils refrigerators and stovetops are the hallmark of this three-floor 98-room non-smoking property. 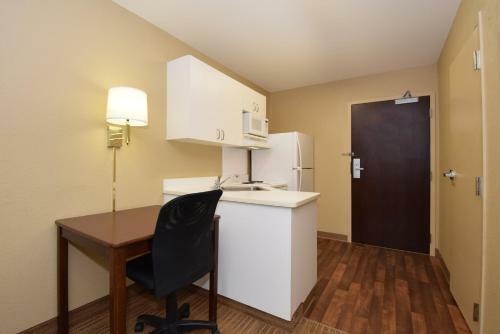 Accommodations include free local calls voicemail and ironing boards. Wi-Fi is complimentary. 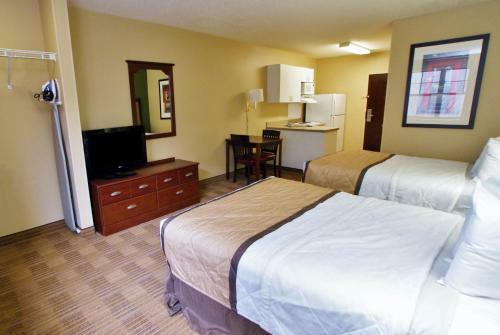 Rooms offer separate living and sleeping areas and some have flat-panel TVs. 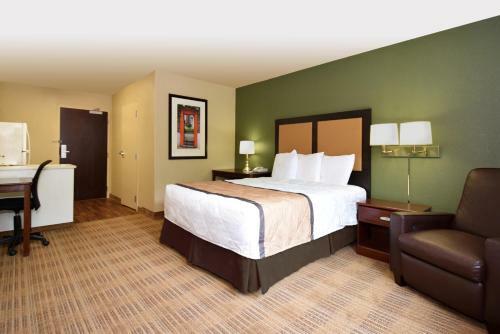 Copy services are available at the front desk and the hotel offers a free grab-and-go breakfast that includes a variety of breakfast bars and muffins hot cereal coffee and tea. 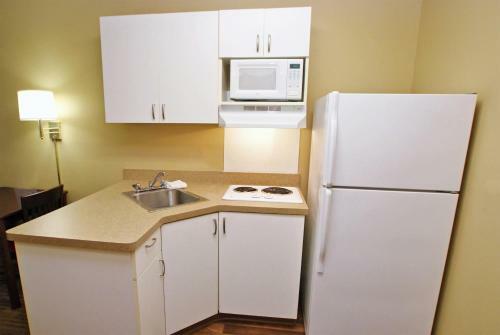 Pets stay with an extra fee and parking is free. 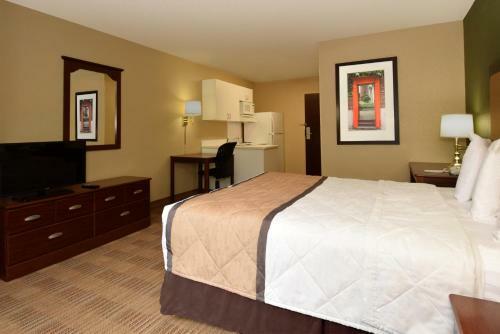 Located off of I-85 in the upscale northeast Atlanta suburb of Duluth this Extended Stay America is 33 miles from Hartsfield-Jackson Atlanta International Airport and 22 miles from downtown Atlanta. 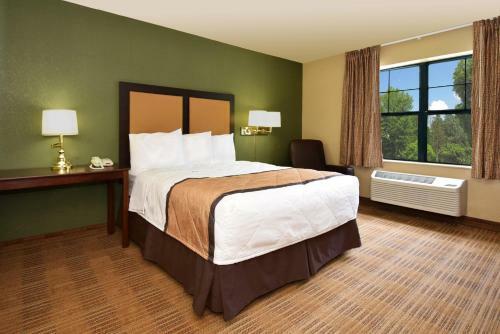 The hotel is adjacent to Gwinnett Place shops and restaurants and mini golf and the movies are right down the street. Events at the Gwinnett Center complex are five miles away and it's about 15 miles to Stone Mountain Park. 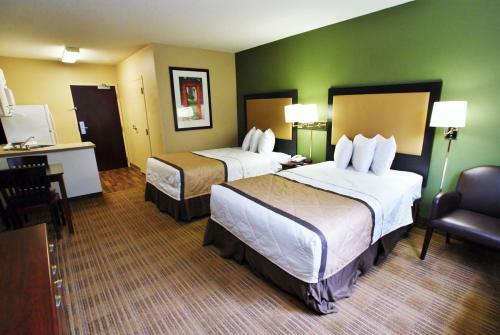 Add Extended Stay America - Atlanta - Duluth to your free online travel itinerary.